A few weeks ago I was recognized by a reader of the Daily Connoisseur. I was in my local grocery store (thank goodness for 'looking presentable always'— remember I alway see people at the grocery store!) and she said, "I know you, I've read your blog and book!" Well it turns out that this lovely reader is Jane Hamilton of JAC Interiors, a prestigious interior design firm in Los Angeles. After chatting for a bit I asked Jane if she would be so kind as to answer some of my questions about interior design for the Daily Connoisseur and she agreed! Our Q & A is below. All of the pictures you see are from JAC Interiors' portfolio. What are some inexpensive things people can do to update the look of their home? • Buy new throw pillows. • Wallpaper just one wall for accent. • Add inexpensive art found at flea markets, not just paintings but sculpture pieces. This really adds a curated, expensive look. 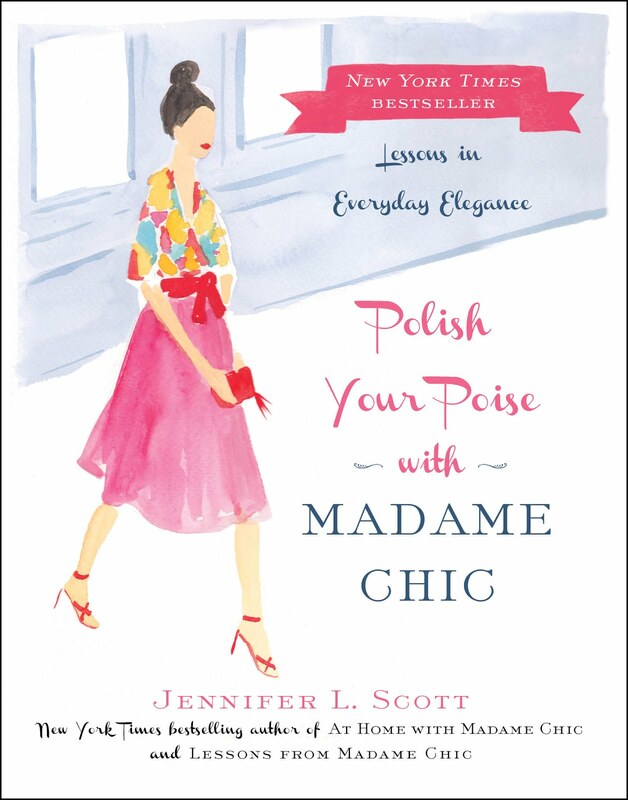 • Color arrange your bookshelves—this looks very Parisian chic. • Bring out the wedding china and use in the bathroom to store make up brushes. Where should we splurge and where should we save when decorating? Buy more expensive things and use them on small areas. Buy some fabulous fabric and put it on a tiny piece of furniture like a stool, accent pillow or lampshade. This will add bling to the room and probably be the only thing people will focus their eyes on. You could splurge on a great wallpaper for a small space as well. Splurge on things that will give you great pleasure everyday such as beautiful bedding. You want to get maximum usage or impact from the things you are spending more money on. Save money on fabric for heavy use items like a sofa or chair in a family room. You can use less expensive items and add bling with accessories. Clutter is so not chic. Do you have any tips for keeping clutter at bay? Do a daily 5 minute pick up everyday before bed. Edit your possessions. Take a hint from the French who are great minimalists. Less good quality items are better than a lot of cheap junk and will make you feel better about your surroundings. 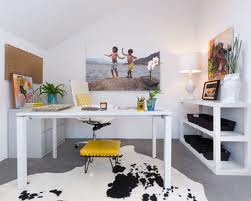 You will be able to think more clearly if you eliminate clutter down to just a few items. We find having cute baskets are great, but be careful not to turn them into junk piles. You must edit periodically. The container store has super items to help you organize. Can you give us a few do's and don'ts of interior design? Do have a collection of tear sheets from magazines that capture the “feeling” of the room you would like. Don’t just follow trends, go with what exhibits your best self. Gather your favorite knick knacks around the house and display them together in a collection. You will give your guests an instant conversation topic when they come over. Go for the best quality you can afford. Consider the light in your space and be sure to compensate for dark rooms or too light rooms when choosing paint colors. The final layer of accessories, such as lighting, art and pillows make a room. Many clients don’t see the value in this last phase and that’s the icing on the cake! A room isn’t done unless there is art and fabulous lighting. Most people feel that hiring interior designers is only for the wealthy. Is this true? How is the industry changing? Hiring interior designers is an investment that will save you money and time in the long run. It will give you peace of mind that you are choosing the right items for your lifestyle and personality. We save you from making mistakes on your own. Find a designer who understands who you are and your needs. They should be good listeners who uplift the client and make them look and feel great when the project is done! JAC Interiors is an interior design firm that serves the Los Angeles area. 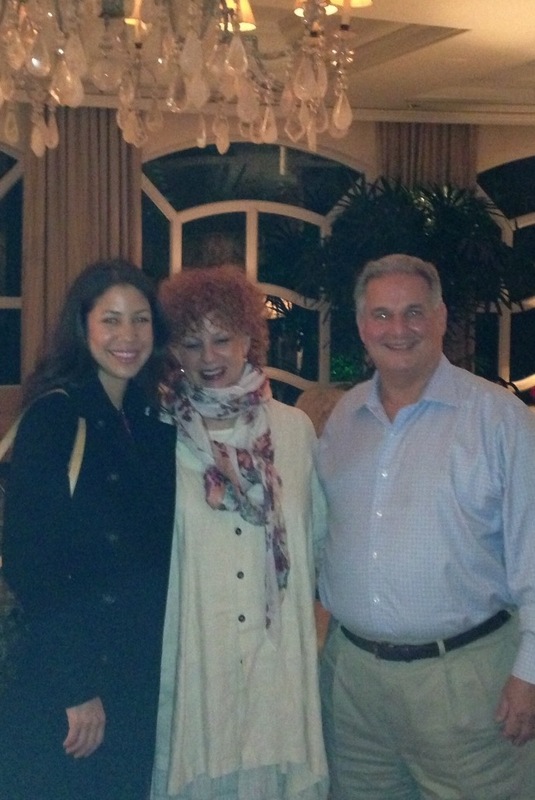 They were recently awarded the Best of Houzz 2013. ♥ Read my latest piece for Huffington Post Style called, Get Your Spring Wardrobe Ready. 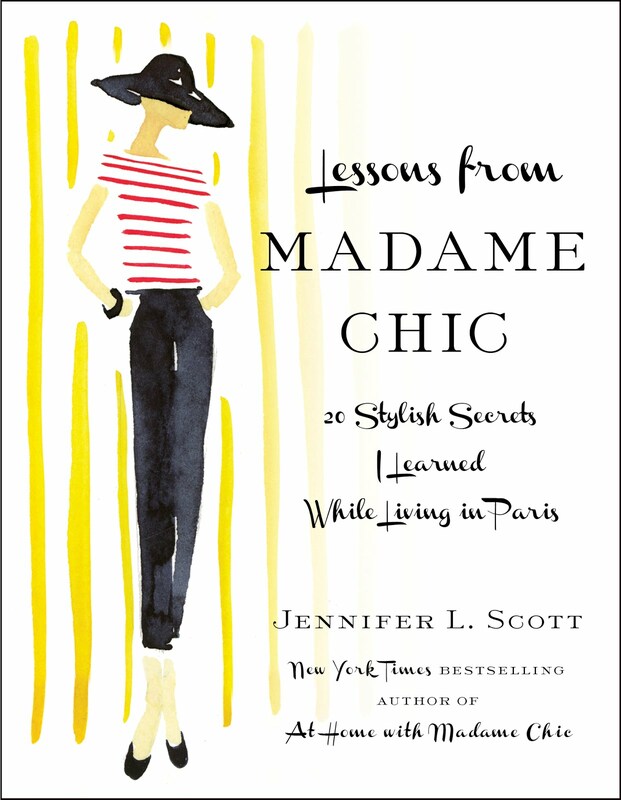 ♥ The Biographile picks Lessons from Madame Chic as one of 10 Parisian Memoirs to Celebrate Spring. ♥ Next Wednesday, April 3rd, I'll be appearing on the Cindy Laverty radio show with show host and author, Cindy Laverty, at 1pm EST (10am PST). Visit www.W4WN.com (Women 4 Women Network) next week to listen to the show, or click here. No downloads or Apps needed to listen. The Cindy Laverty Show is dedicated to the subject of CARE - how we care for ourself so we can better care for each other. If women need anything...it's to learn new and creative ways to care for themselves. I'm really looking forward to chatting with Cindy! PLEASE NOTE: Due to technical difficulties this show will not air this week but next week. I will update you soon. Thanks for your understanding! I hope you have a wonderful Easter... I'll be taking next week off for spring break. Thank you for all of your emails and messages. Even though I am not able to respond to all of them, I want you to know they are greatly appreciated! I'm pretty good about not snacking. This hasn't always been the case. I used to be a chronic snacker. It's like I was afraid of hunger so I never allowed myself to get to that place. I love the quote that YouTube viewer, Sassylarita, brought to my attention, "Hunger is the best seasoning". The quote originates from Socrates, who actually said, "The best sauce for food is hunger." And it is so true. How many of us dull our appetite by snacking too much before meals? Since dropping my snacking habit I have started to enjoy my meals a whole lot more. 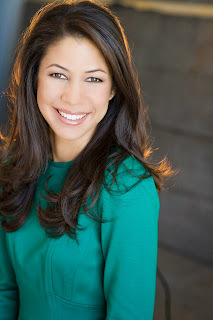 ♥ I'll be appearing on Smart Creative Women TV with the lovely Monica Lee (more on that to come). 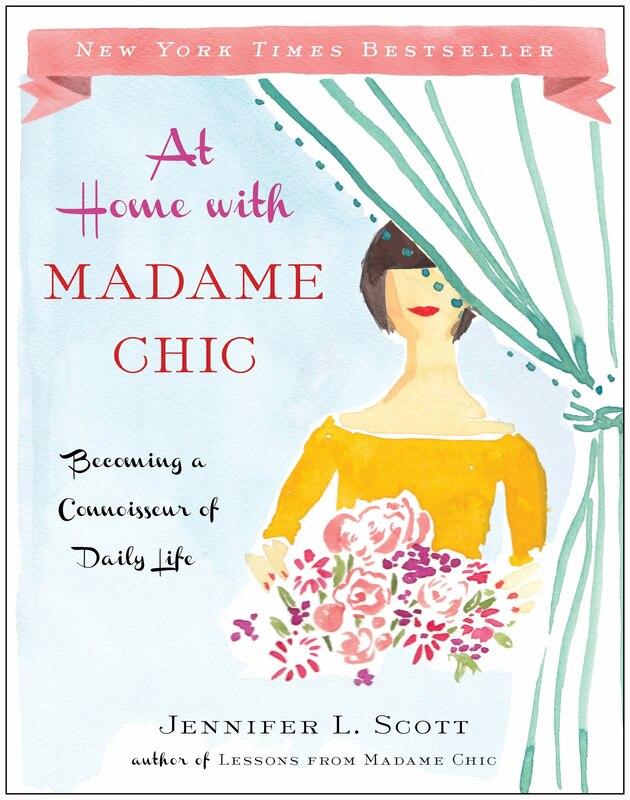 Monica has featured Lessons from Madame Chic on her blog this week. She even planned a luncheon around the book! You can check out the article here. This week I would love to know... what are your snacking issues? This week we have another installment of Reader Questions Answered. We discuss blazers (and you'll see what happened to my favorite one! ), the etiquette of receiving an unwanted gift, cultivating authentic friendships, makeup faux pas, how I compose my video music and the 90-Day Novel. If you are unable to see the video above, click here, look in the sidebar of this blog, or visit my channel: www.youtube.com/TheDailyConnoisseur. I hope you have a lovely week. See you soon! Since the last Reader Questions Answered post I have received so many questions for the series. I love to hear from you and enjoy doing these videos. Part of me feels a bit intimidated by answering your questions... but everything I do stems from a curiosity on how to live well, and that is how I approach each answer. I always enjoy when you comment and give your own take on these subjects so we can learn from each other! This installment of Reader Q&A covers capsule wardrobe, dealing with anxiety, orchid food (yes I got all of your orchid related queries!) and French films. Oh la la! I ordered your book on Kindle three days ago, and finished it yesterday. With your book as a guide, I promptly organized my wardrobe, as I had been in a fashion rut for awhile. I found that I did not even like or wear over 90% of my clothes, many of which were relics from my college days (and I graduated six years ago! ), some were even from high school. Remained were the few very flattering pieces made of good materials that I seldom wore because they were “saved” for more “worthy” events, which doesn’t even make any sense to me now. I also used your guide at Saks yesterday to pick up a few key pieces that were lacking in my wardrobe. I now have, literally, only 10 pieces, and they all make me look great and feel great! I don’t think I have felt this happy and free in years, if ever. Thank you! This has been such an exciting week! I wanted to start off by saying Olá to my Brazilian readers. 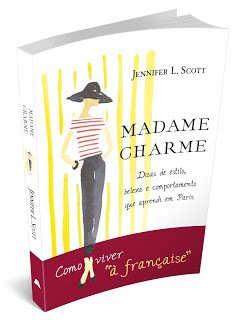 Lessons from Madame Chic (Madame Charme) is now out in Brazil! Obrigado and I look forward to connecting with you! I am featured in the Chicago Tribune this week in an article called, Your Closet: Where Utility Meets Joy. Stacy London (of What Not To Wear), Jason Wu (the talented fashion designer who designed both of the first lady's inaugural dresses) and I (!) give advice on creating the perfect balance between want and need in your wardrobe. My Huffington Post piece, Is Vulgar the New Normal? has kicked up quite a stir. Thank you to all of you who have shared the piece. I feel passionately about the subjects of standards, etiquette and decency and will continue to write on this topic. Check out the conversation on my Facebook page. And read the original article here. If you feel as passionately about this subject as I do, please tweet it, post it on your facebook page, and share it with your friends. Thank you to all of you who tuned in to One Chic Mama TV. I had such a lovely time discussing style with host Mary Michele! Also, thank you to all who sent questions in, it was a lot of fun answering them. If you missed the interview (which ran an entire hour!) visit One Chic Mama TV by clicking here (look for episode Jennifer L. Scott). To me chic is smart. Chic is knowing what works for you and sticking with it. Chic is feeling good about yourself. Chic above all else is loving yourself. Chic is being sophisticated while also being mysterious. Congratulations ladies! Please email me and I will put you in touch with Belvada so you can choose your lipstick shades. Thanks to all who entered. I really enjoyed reading what 'chic' means to you! With a little care and attention you can get your orchids to bloom year after year. Once the blooms fall off your orchid, continue to take care of it. Trim back any parts of the stem that have dried off. Continue to water your orchids once a week and feed them at least once a month. Over time you will notice new growth and eventually new blooms. This is so rewarding! My latest piece for Huffington Post Entertainment is called, Is Vulgar the New Normal? It discusses the increasingly disturbing trend of vulgarity in our popular culture. I feel very passionately about this piece. Please share with your friends if you agree. ♥ This Wednesday, March 6th, I will be appearing on One Chic Mama TV at 1pm PST. I'll be joining host Mary Michele via Skype for the hour as we discuss all things style. To watch the show on your computer visit this link: http://www.nissancommunications.com/onechicmama.php or click here. You can also phone in at any time during the hour to ask me a question by calling 919.851.3858, Or you can Skype Chat at: Computers2kvoice. Please phone or Skype in, I'd love to speak with you! Find One Chic Mama on Facebook. ♥ I have also written another article for Huffington Post Style discussing the merits of le no makeup look for spring. ♥ Former Fleet Street photojournalist and great family friend of ours, Clive Limpkin, has just released his autobiography, Lost in the Reptile House, available exclusively for Apple's iPad and iTunes. Learn more about the book here. Visit Clive's website here.